This fried rice is great with the pork and prawns, but it's still pretty tasty if they're left out. 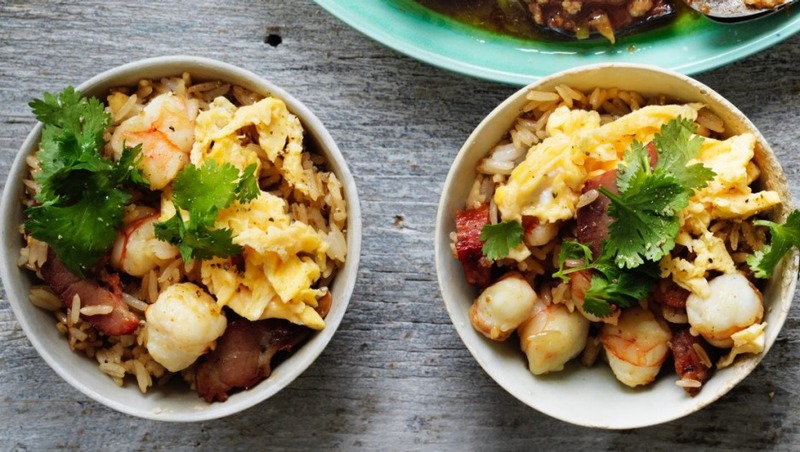 It's the ideal way to use up leftover rice that's had a day or two in the fridge. Fresh cooked rice works but not as well: it's harder to get each grain as an individual. 1. Heat wok over a high heat until just smoking. Add 1 tablespoon of the peanut oil and, when hot, stir-fry the prawns until just cooked (1 to 2 minutes), then remove. Serving suggestion: with my stir-fried eggplant and pork.